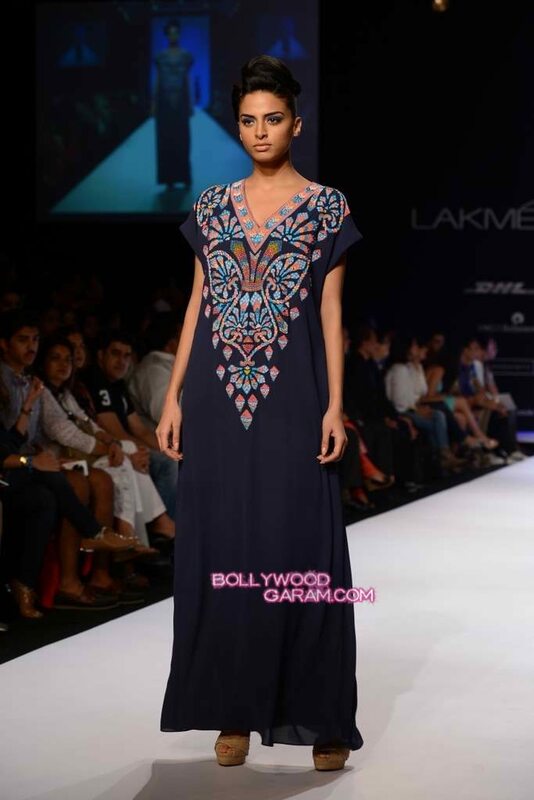 BollywoodGaram.com: The Lakme Fashion Week Winter/Festive 2013 kickstarted on August 23, 2013 and saw a host of Bollywood celebrities in attendance to check out the latest fashion creations, in addition to many stars the ramp for designers. Day 1 of LFW 2013 saw designer Rana Gill’s debut at the event with actress Yami Gautam walking the ramp as the showstopper for the designer. More photos of Yami Gautam.